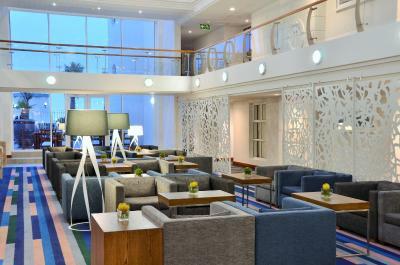 Lock in a great price for Radisson Blu Hotel Waterfront, Cape Town – rated 8.5 by recent guests! 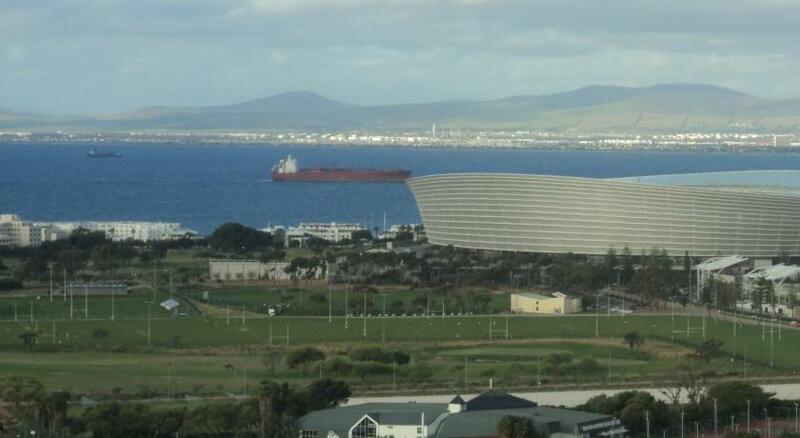 Next to the Waterfront, best location to see Cape Town! Some of the staff (Aggie in particular) were brilliant. All service staff were friendly and attentive. The hotel staff was super friendly, helpful and attentive -- really made the stay great. Loved the breakfast buffet; matter of fact, all of the menu items were great. Also loved the piano player and the wine & cheese bar in the evenings. What a treat! The excellence, friendliness and dedication of the staff made our stay wonderful. Great location, very close to the Waterfront and located right on Atlantic Ocean. Sunrise and Sunset could be seen from the room terrace. Restaurant had amazing choices. Rooms were large and very comfortable. 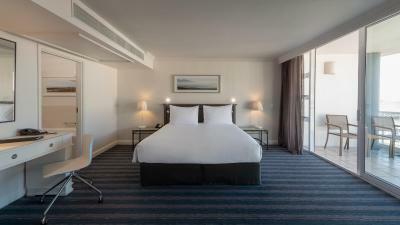 Radisson Blu Hotel Waterfront, Cape Town This rating is a reflection of how the property compares to the industry standard when it comes to price, facilities and services available. It's based on a self-evaluation by the property. Use this rating to help choose your stay! 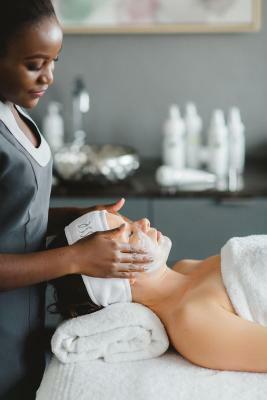 One of our top picks in Cape Town.Overlooking Cape Town's famous Robben Island and the Atlantic Ocean, the Radisson Blu Hotel Waterfront offers luxurious accommodations with free wireless internet access and a private marina. Radisson Blu Hotel Waterfront is close to Cape Town's main tourist attractions and beaches and within walking distance of the Victoria & Alfred Waterfront. Choose from a variety of contemporary accommodations to suit your needs. 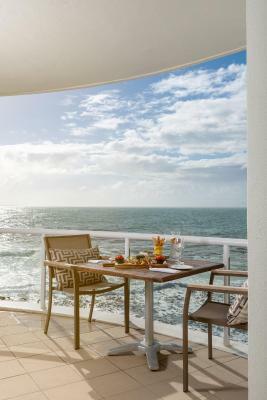 The warm and elegant guest rooms enjoy breathtaking views of Table Mountain or the ocean. 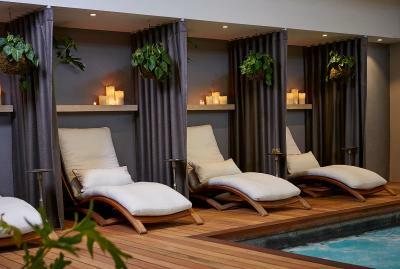 Relax on the picturesque terrace or rejuvenate at the spa's indoor vitality pool and state-of-the-art gym. Energize with a wide range of water sports, hiking or paragliding. Radisson's restaurant is just steps from the sea, providing a spectacular setting for lunch, dinner a cocktail or simply enjoying an African sunset. 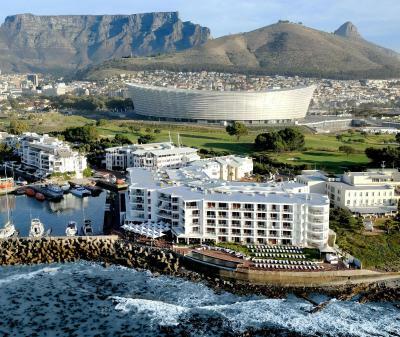 The Radisson Blu Hotel Waterfront is 20 minutes from the Cape Town International Airport. 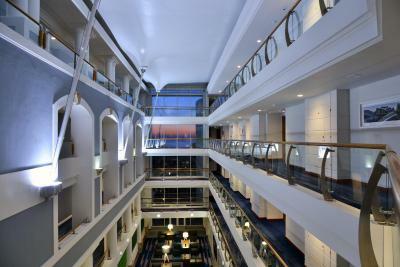 It is also 10 minutes from the central business district and Cape Town International Convention Center. 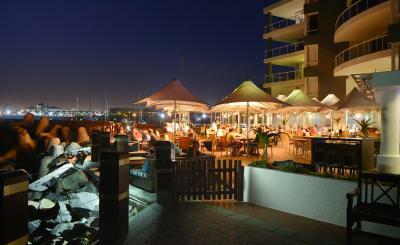 Mouille Point is a great choice for travelers interested in wine, food and restaurants. 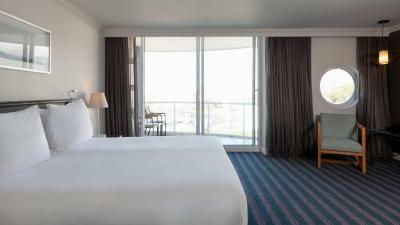 When would you like to stay at Radisson Blu Hotel Waterfront, Cape Town? 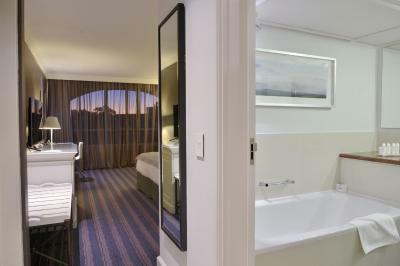 This spacious and modern newly-renovated room with views of Table Mountain includes a minibar and a work desk. Please note that these rooms can only accommodate children under 2 years old. 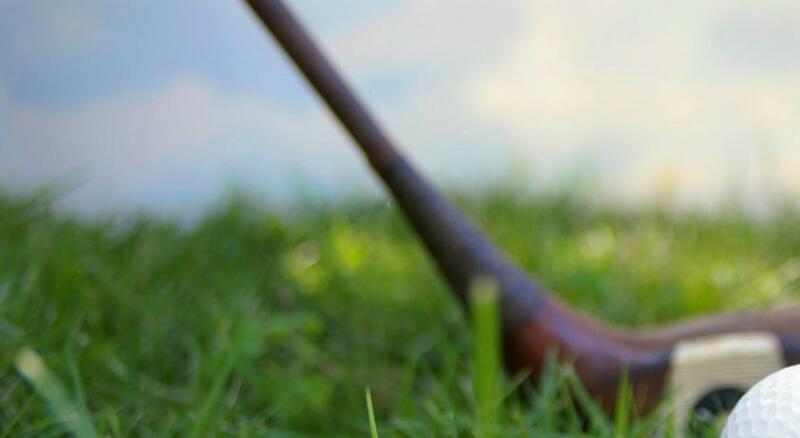 Private parking is available on site (reservation is not needed) and costs ZAR 95 per day. 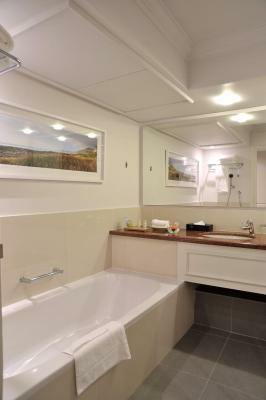 This spacious and air-conditioned room includes a balcony offering views of Atlantic Ocean or private marina. It also features a Nespresso machine and newspapers. Please note that the maximum number of guests is 2 adults and 2 children under the age of 12 years (or 1 child from 12 to 17 years) on a sleeper couch. This room includes a safe, a minibar, and a work desk. This suite has a electric kettle, flat-screen TV and bathrobe. This family room features a electric kettle, satellite TV and tea/coffee maker. This suite has a balcony, tumble dryer and electric kettle. 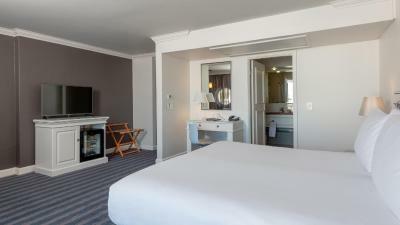 This double room features a bathrobe, air conditioning and tea/coffee maker. Hotel surroundings – This neighborhood is a great choice for travelers interested in wine, food and restaurants – Check location Excellent location – show map Guests loved walking around the neighborhood! House Rules Radisson Blu Hotel Waterfront, Cape Town takes special requests – add in the next step! Free! One child from 3 to 12 years stays free of charge when using existing beds. Radisson Blu Hotel Waterfront, Cape Town accepts these cards and reserves the right to temporarily hold an amount prior to arrival. Children under the age of 16 years of age are not allowed in the Health Spa. Please note prepayment is required through an EFT-electronic bank transfer or online credit card payment link services. The property will contact you with instructions. 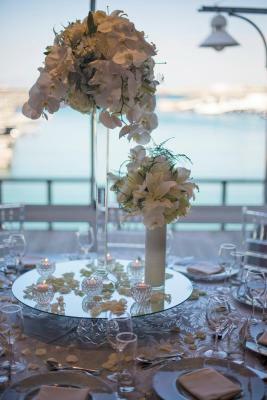 Please inform Radisson Blu Hotel Waterfront, Cape Town of your expected arrival time in advance. You can use the Special Requests box when booking, or contact the property directly using the contact details in your confirmation. Good breakfast. Very good service. Great view. Very good concierge. Shower was sub standard. Broken kettle. Bad coffee. Awesome venue. Awesome staff. Good food. Great breakfast. Although it is a very upmarket hotel and you would expect it to be expensive, it is in fact way overpriced. Additionally, we paid for a room with a Mountain View, but were given a low level room with only a view of the carpark. However, when we raised this with reception, we were moved to a better room. Very nice, upmarket hotel with a wonderful ambience and has a very popular restaurant and bar with a very nice "vibe". The sevices at the reastaurant is poor and you wait very long for your food order. The staff nothing was a problem at all to any of them. Natasha Schitty the lady from the hotels restaurant was exceptional she had also organised on our last night an early birthday celebration for myself. I turned 60 the week after in Namibia she is worth bottling.